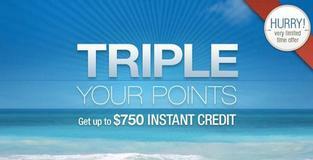 Sandals & Beaches Return Guests Earn Triple Points For IMMEDIATE Redemption! POINTS - As a member of Sandals Select Rewards, your clients will enjoy a world of benefits and savings. Once enrolled, they’ll receive 10,000 Sandals Select starter points worth $250 USD off their next vacation at Sandals or Beaches Resorts. They will then earn additional points for every paid night they spend with us. Your clients will also be given opportunities to earn bonus points so they can save even more on future vacations. PERKS - We have created a wide collection of member-only benefits that include exclusive offers, special events, on property extras and recognition awards, including silver and gold sandals pendants and a free one-week vacation upon completing 70 paid nights. Plus members will receive even more when they meet the criteria for becoming a Gold, Platinum or Diamond member. 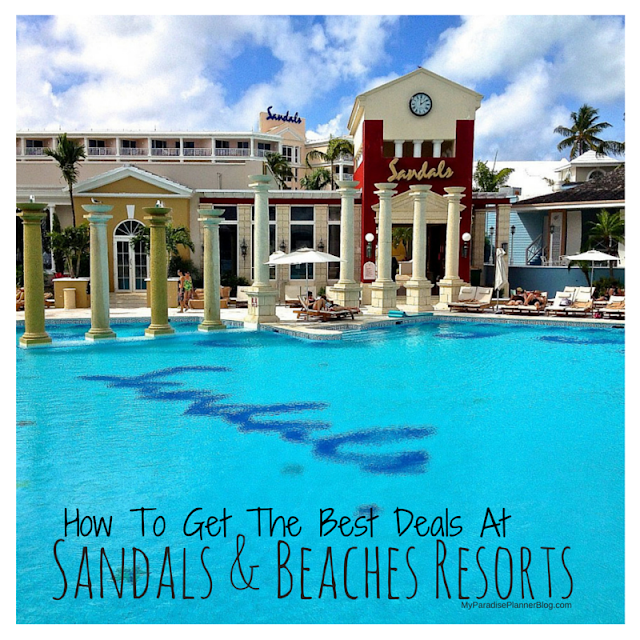 RECOGNITION - Receive preferential treatment every time you visit Sandals or Beaches resorts. We take great pride in providing exceptional service to all our guests - but Sandals Select Rewards members will notice an even higher level of recognition including our weekly member-exclusive reception and luncheon or dinner. Members will also have access to a dedicated on-property loyalty manager who is always at your service. Sandals Select Members who book in select categories at Sandals Resorts and Beaches Resorts for travel in 2013 and 2014 are eligible to receive triple points for immediate redemption. For example, if a guest has 10,000 points in their account, valued at $250.00, then they will receive an additional 20,000 points for a total savings of $750.00 off of their new booking. The maximum number of points that will be doubled is 10,000 points. Please note that past guests who sign up for the SSG Program, will be able to use enrollment bonus points towards this offer, but they do not get to use the points from their current stay. Only the existing SSG members will get this benefit. 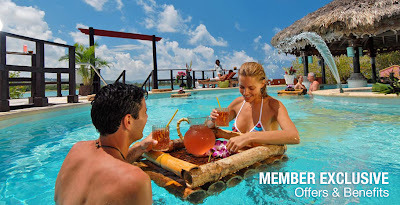 SBTV13 is valid on new bookings made between the dates of February 25, 2013 – March 7, 2013 for travel February 25, 2013 – December 26, 2014 on stays of 5 paid nights or longer in select room categories at select Sandals & Beaches resorts. The maximum number of points that will be tripled is 10,000 points. Combinable with other resort offers, but non-combinable with other point promotions and discounts including the Military discount. *Please, note that past guests who sign up for SSG, will be able to use enrollment bonus points towards the offer, but they do not get to use the points from their current stay. Only existing SSGs get this benefit. Not applicable to groups. Black-out dates apply. All non-SSGs on resort who wish to enroll in the Sandals Select Program and book using the promo should be allowed. All guests with existing bookings who wish to take advantage of the promotion should be allowed. These must not be cancelled but labeled with discount code *SBTV13T. This offer is capacity controlled and can be withdrawn without notice. Not responsible for omissions or errors. Redemption restriction: Guests are only allowed to use the total number of points tripled towards their booking (maximum 10,000), those who wish to take advantage of this promo are not allowed to use other points in their account in addition to the tripled points.